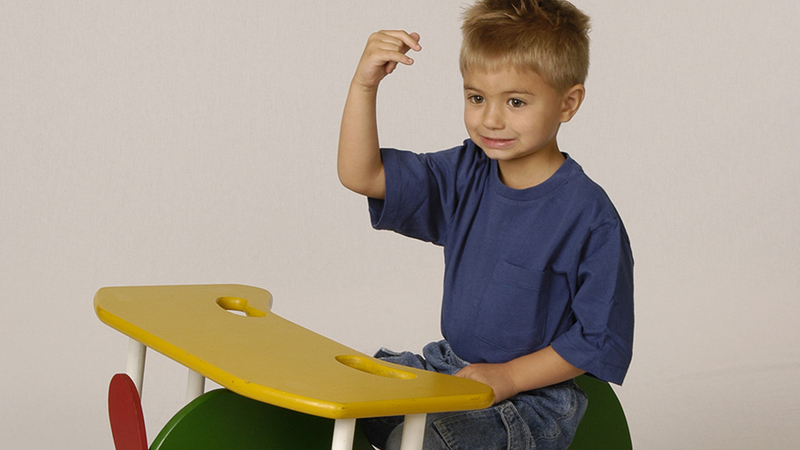 Time to Sign, Inc. is dedicated to supporting effective and meaningful communication for children, families, caregivers and businesses by teaching American Sign Language in a fun and educational way. This program is designed to teach adults American Sign Language (ASL) for use in the workplace. 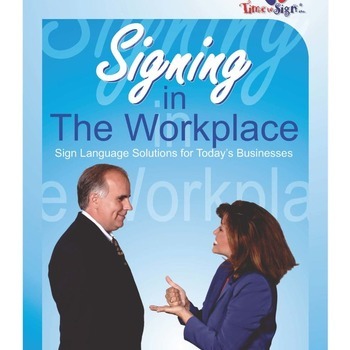 The accompanying book with DVD has over 750 workplace signs in all. Each of the signs includes a description, the word in Spanish, the word fingerspelled and a fun and educational illustration. This book contains the alphabet, numbers, common signs, business, clothes, colors, days of the week, emergency, emotions, family, food, greatings, holidays, manners, months, occupations, questions, seasons, time and day, transportation, and weather signs. 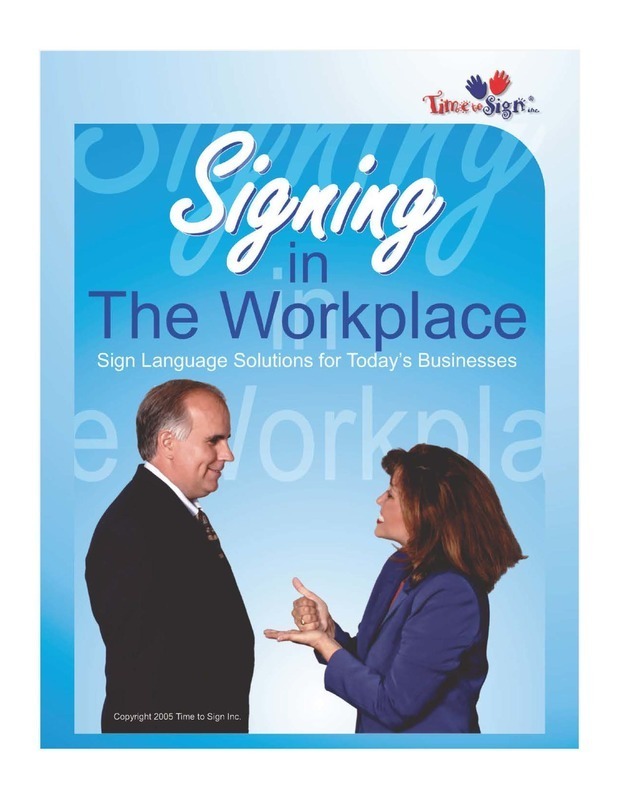 DVD includes various scenarious for working/communicating with the deaf and hard of hearing in the workplace. Workplace training and support materials are available from Time to Sign. Call (321) 726-9466 to learn more!